Bill and Isa Dixon invite and welcome you to the Yoho Museum open house May 27th. You will be able to see and hear the history of the Peers area, for many contributors and local residents will be there to tell the stories behind the pioneer artifacts on display. The event is free, friendly and relaxed. Many new additions have been made to the museums collection of more than 100 tractors. Check out the Rumley Oil Pull, the 1914 Lanz Bulldog, the 1923 Case (crossmount engine), and 1914 Cletrac crawler for example. Also on display are about forty stationary gas engines and Bill's rapidly growing car collection. The 1915 Model T Ford is a crowd favourite. To reach the museum travel 10 km. north of Peers on Hiway 32 to Township Rd. 554, then half a mile east. A pancake breakfast is served between 9 and 11 AM at the Fullham School, three quarters of a mile north of the museum sign on Highway 32. The Niton Historical Society has recently published this new historical book on Entrance, just north of Brule. "This captivating narrative tells the story of a hamlet called Entrance, Alberta, so named because it was located at the entrance to the Rocky Mountains west of Hinton. Between 1911 and the 1970's, Entrance was a bustling place that owed its existence to the railway and to its status as the headquarters of the Athabasca Forest Reserve. It was also home to several hundred people who lived, toiled, laughed, cried, raised families, raised ruckuses and lived rich and interesting lives." The book is on sale at the museum gift shop. This will be the ultimate guidebook to the landscapes, ecology, culture and history of the Northern Rockies Region along major highway corridors and important byways. From Hinton to Valemount, Grand Cache to Cadomin, Jasper to Lake Lousie. Rick photography, detailed maps, historical context and discussion of current issues illustrate the journey. Copies of Northern Rockies Highway Guide be available for purchase at the museum gift shop. Galloway Station Museum and Travel Centre is proud to present the completition of the final phase of the exhibit space. Heavy Industries in Calgary pre-fabricated all of the new displays and shipped them to Edson where their team of talented and creative people got to work in putting the peices together to complete the space. Research was done in house and artifacts that dress the displays were donated by locals from Edson and area. The new space features a general store, a 1940's gasoline station, blacksmith, livery, an 1873 printing press used in Edson in 1912 and a whole lot more! Come by and check out what Galloway has in store for you! 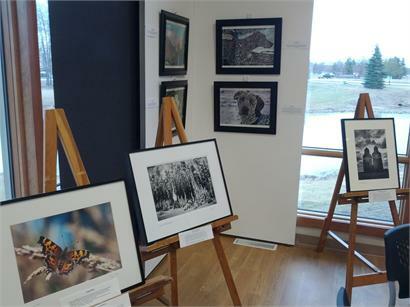 The Galloway Station Museum and Travel Centre was proud to host the photography portion of the Yellowhead Rotary Arts Festival (YRAF) at the end of April. Veteran photographers and amateurs alike displayed their works across the Shell multi-use. The photographer's works were then adjudicated by Sheree Zielke who has much experience in the field. Each participant recieved invaluable constructive critisim on their pieces. She looked at each piece and judged their focus, composition and exposure, the 3 areas she thinks are most important in a photograph. The Vanier grade 5 class also submitted creative photos on bubbles that they took over glass in oil. They have definitely been a crowd favorite! A bit off the beaten track, the Jasper Museum and Archives is a fantastic journey of almost 10 000 years in the Athabasca Pass. 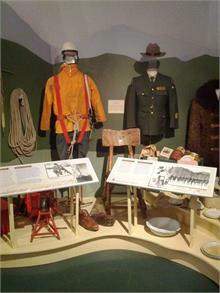 The Jasper Museum Historical Gallery includes exhibits on the fur trade, the railways, early tourism, the park and its warden service, as well as the history of the town of Jasper itself. This small museum packs a punch, with loads of information, so plan to stay awhile and take in all the exhibits. They also have two rotating galleries that contain the same high quality exhibits as the permanent display does. Their gift shop has a wide variety of history books, art and gift ideas with a historical theme. Expect to be impressed! The museum is located on the Pyramid Lake road in the town of Jasper. 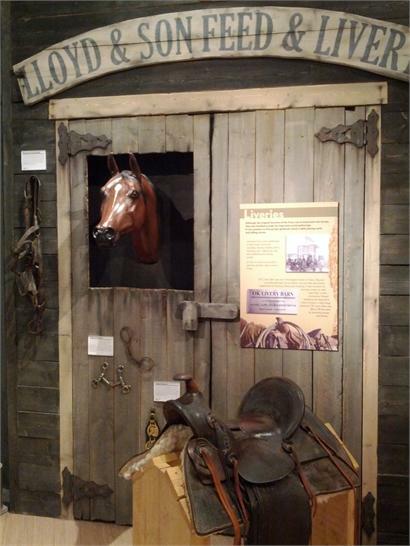 On May 26th, the Galloway Station Museum and Travel Centre will be having its grand opening of 'Edson's People and Places' exhibit of the museum. The event will be open to the public and will have free snacks and entertainment provided by Squirrelly Early.